The five of us grew this farm from nothing more than an old horse pasture. A little hard work, a lot of sweat and a ton of laughter since 2006 has nurtured not only our crops but our souls and has deepened our family's bond! We are the Turners! We are a homesteading farm family with a pioneer spirit! We run an organically-managed farm just outside of Missoula, Montana in the rich soils of Orchard Homes between the Bitterroot and Clark Fork rivers. We have been growing our farm since 2006 when our boys wanted to buy bunk beds and had to contribute to their bunk bed fund. We had grown more than our share of corn and vegetables that year so the boys got creative and set up a farm stand in our driveway for friends and family. We had so much fun as a family harvesting and selling! We knew at the end of the season we wanted to grow this little business into something bigger and meaningful for our family and our community. Oh, and yes...the boys got their bunk beds! Paid for 100% by vegetables! 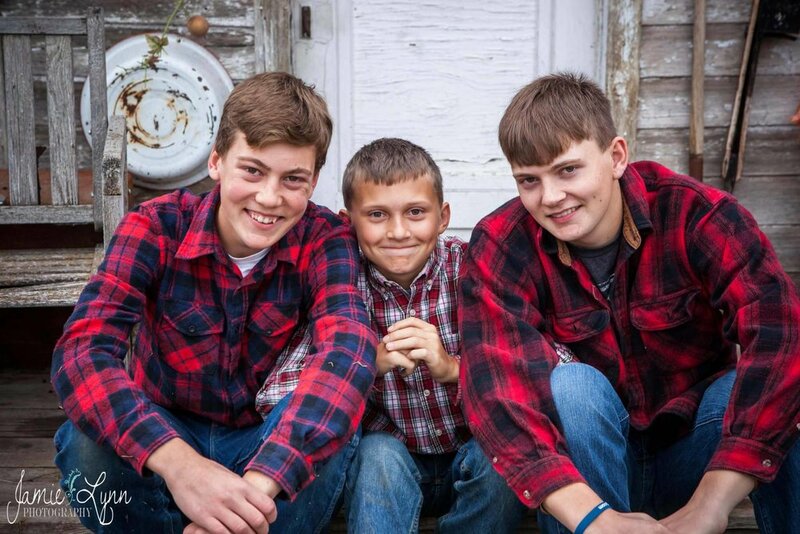 Yup, all boys on this farm! Which is great when it comes to carrying pumpkins, heaving bales of hay and moving animals! It's not great when it comes to mud on the floor, dirty laundry and keeping food on the table! Our boys are very active in 4-H and FFA. They show animals, hold club offices, compete in various competitions and participate in community events. Plus, they are a vital part of running our seasonal CSA programs and they can sometimes be spotted at the Farm Store turning on the charm as they sell freshly harvested produce! We are a great team around the farm. Erin loves planting and Jon loves weeding! It's a marriage made in heaven for sure! Seriously though, we do work well and compliment each other around the farm. Jon owns another business outside the farm which is his primary work while Erin manages the farm full time. 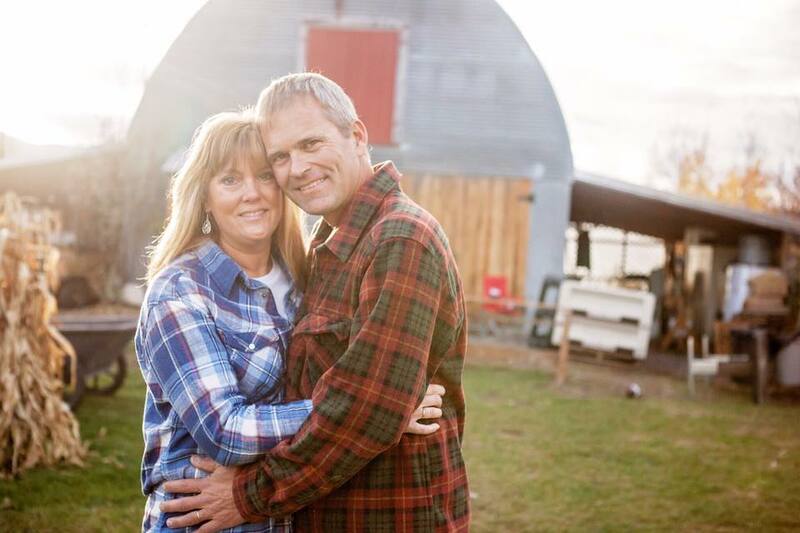 We are accidental farmers...we have no background in farming but are proud to say we've learned it all through reading, talking to seasoned farmers and making a lot of mistakes!